India and China needed to develop mutual trust and respect to strengthen bi-lateral relations, Bharatiya Janata Party president Nitin Gadkari said in Itanagar on Thursday. "If India and China develop friendship by rising above their petty differences, they could rule the world with their ever-growing economic strength," Gadkari said. The two neighbours should resolve the contentious boundary issue by demarcating the territory through mutual understanding and should work together for economic development of the South East Asia region, he said. "The BJP will never compromise with the territorial integrity of the country," he said in a programme that officially concluded the Sahid Shradhanjali Yatra. The Yatra, organised by the BJP's youth wing Bharatiya Janata Yuva Morcha to pay homage to the martyrs on completion of 50 years of the 1962 Sino-Indian war, had been flagged off by Gadkari on October 18 and culminated at Bumla, the last Indian post along China border, in Arunachal Pradesh on October 20. Gadkari, on a day-long visit to the state along with party vice-president and Guwahati Member of Parliament Bijoya Chakrovarty, paid homage to the martyrs of the Sino-Indian war offering flowers and lighting lamps. Taking a dig at the Congress, Gadkari alleged that despite supreme sacrifices made by over 4000 army personnel in the 1962 war, the party in power at the state and the Centre failed to recognise their contribution to the nation and did not bother to remember them. 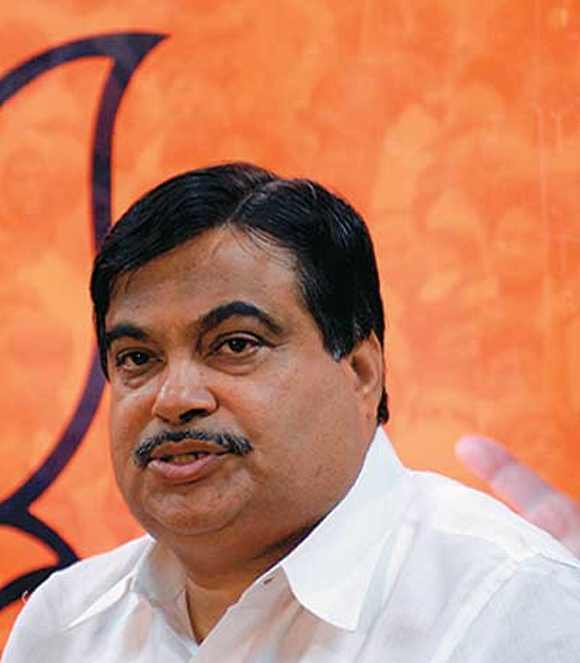 On the visit of a BJP delegation led by Gadkari to China in January last year, the party president said, "We had held meetings with various representatives of that country including the premier and discussed various issues of mutual interest including the boundary issue." Meanwhile, Gadkari said his party was preparing a vision document for the North East for overall development of the region with main thrust on infrastructure development, education, power and health sectors. The BJP wanted 'progress and development based politics in Arunachal" as the state remained to be backward despite inflow of a huge chunk of central funds, he said. The party would give more emphasis on infrastructure development to attract investment to Arunachal if voted to power both in the state as well as the Centre. "The state government failed in all fronts to bring real development. There are still several areas where there is no proper road connectivity, schools, health care facilities and basic minimum facilities for the people," he alleged. Exhorting the people to vote National Democratic Alliance to power, Gadkari said his party wants to bring a change in the socio-economic scenario of the country which got distorted during the rule of the 'corrupt Congress which is looting the country depriving the poor and the needy'. He said, the country's GDP growth was mainly contributed by the BJP-ruled states.